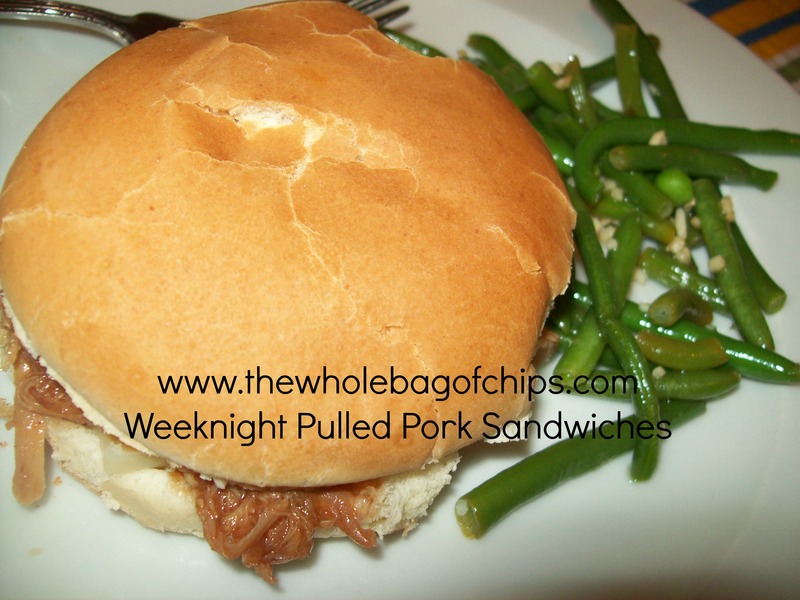 I don’t usually think of pulled pork sandwiches as a week night meal at our house, but these were a hit! Are you getting tired of my crock pot adventures yet? But, I’m not done yet! I have a few more coming, including this one. I am loving finally having a series of crock pot success stories to share, after years of really never having many “keeper” recipes. Tonight’s is another Who Needs a Cape recipe. Hers have all been winners pretty much, and this one is no different. It was easy and delicious. Recently, my kids were out and they were asked by another mom what that mom could make for an upcoming event, and they all three suggested this recipe. I wasn’t even in the room when this conversation took place, so I can’t even say I influenced them in any way! That means that all the ribbing they give me about all the crock pot cooking I’ve been doing, they really are enjoying 1) being able to eat dinner and 2) the variety of great recipes we’ve tried. Which makes me right, again. This was a great idea, all this crock pot cooking. Anyway, enough about how right I always am, and back to this great recipe. We actually make pulled pork in the crock pot for birthday parties here all the time, but I never think of them for weeknight dinners. When I saw this one, it was super-easy and part of her 40 meals that I’ve been plowing through for weeks now, so I figured I’d give it a go. We cheated and used regular hamburger buns for these because that’s what we had on hand, and served them with a side of veggies. All thumbs up. Everyone liked the sandwiches and we had no complaints. Definitely a keeper recipe, again!! I encourage you to give the recipe a try and see what you think! When I make pulled pork in the crockpot I almost always make it with carrot salad as the veggie. It’s a “make ahead” side that’s easy to pull out of the fridge and just serve with minimal prep time needed at dinnertime. Mix all ingredients except mayonnaise. Refrigerate until just before ready to serve. Before serving, drain off liquid that has accumulated at the bottom of the bowl, then stir in the mayo. This sounds really delicious, Debra! We’ll definitely have to try it!